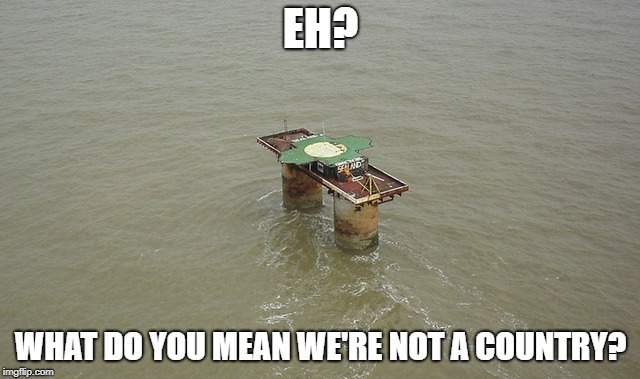 Fortland is not a country. It is a speck. It is a atrocity that we recognize this speck as a nation. If I had the Ministry of Defense, I would send troops to this speck in a instant. Yet I don’t, so all I can say is, Fortland is not a country and never will be. Period. "This is highly undiplomatic, disrespectful and degrading language, and not at all what we would expect from our closest island and ally", Briggs said. 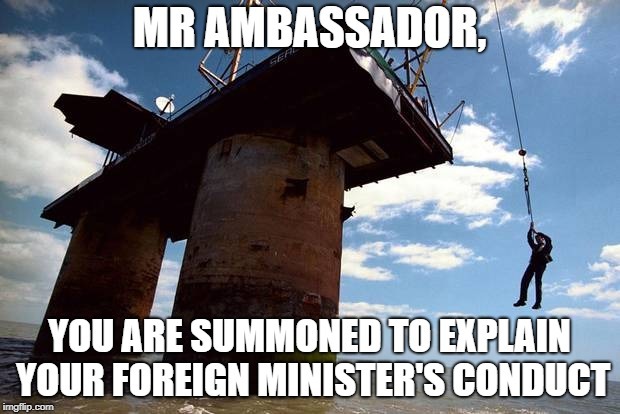 "I cannot believe this represents the real opinion of either the Keymonese government or the Keymonese people, but obviously we need to get to the bottom of what this is all about, so the Ambassador is being summoned and he will be expected to provide answers". Baltusian Foreign Minister Allison Nickerson has agreed to accept traitor and war criminal Colby Lee on a prison transfer scheme, so he can serve out the remainder of his 30 year sentence in his native country. Unsettled following the recent invasion by Colby Lee and his mercenaries, and now some threatening comments from the President of Aloria, Fortland has reacted by exhibiting what its critics call "Little Dog Syndrome" - snarling and barking as loudly as it can in order to deter any would-be aggressors. At 5am this morning, Fortland did a test run of all the military grade cannons and guns it was recently presented with by Keymon and Dolgava. No actual projectiles were fired, though, only blanks. Nevertheless, the test run went on a long time - nearly 30 minutes - and created an enormous amount of noise. So much so that in some of Noumonde's coastal communities, the police were inundated with complaints about the noise and concern/confusion over what was going on. 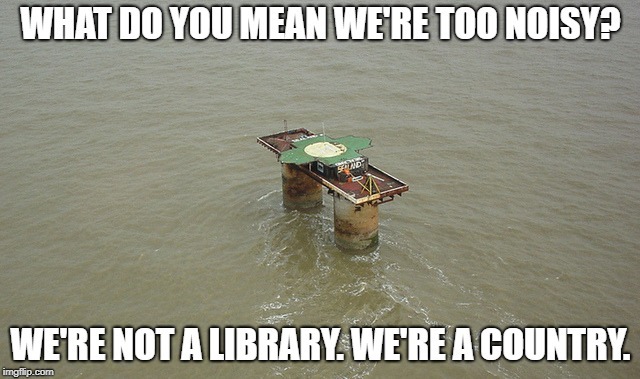 This afternoon, an official from Noumonde came to visit Fortland by police-boat, to issue a "Noise Abatement Order", demanding Fortland must not make such an "unauthorised cacophony of noise" in the future, or at least should "obtain permission and give due notice before doing so". Fortland, ever zealously defensive of its independence and sovereignty, responded to this complaint by unleashing a second round of cannonfire and gunfire - this time lasting just over 40 minutes. Noumonde and Fortland are now in a diplomatic stand-off, with Noumonde threatening to ban naval vessels from leaving Noumonde in order to visit or supply Fortland unless Fortland agrees to have all of its guns and cannons confiscated. If Noumonde carries out this threat, it will cause significant disruption to Fortland, which is dependent upon Noumonde for everyday supplies. However, President Geoffrey Briggs says it is "unthinkable" that Fortland would agree to give up its weapons, saying "these represent our sovereignty as an independent nation and are important to allowing us to defend ourselves". The Republic of Fortland has invited Temania to sign a mutual defence pact, and offered to take part in joint military drills with them. Fortland is currently locked in a dispute with Noumonde over whether or not Noumonde has the right to impose a "Noise Abatement Order" upon it, in response to Fortland's habit of letting off cannons (although only firing blanks) during the early hours of the morning, causing immense annoyance to Noumonde's coastal communities. Fortland has also thanked Dolgava profusely for their offer to defend Fortland against any threats. "The Dolgavans should know Fortland is their most staunch and loyal friend," President Geoffrey Briggs said.